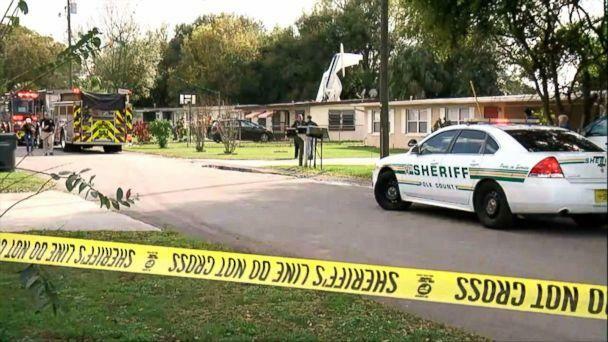 A nightmare came true for one family in Florida when a plane fell from the sky and crashed through the roof of a home. The pilot of the flight was killed, but a trainee pilot and eight people inside the home all walked away with minor injuries. “It was the day of miracles,” said Polk County Sheriff Grady Judd during a press conference, referring to the fact that everyone inside the house survived. 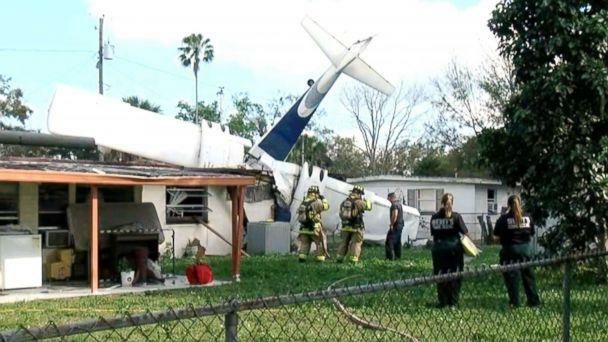 The twin-engine aircraft fell into the house in Winter Haven, Florida, at around 1 p.m. while its pilot, James Wagner, 64, and his trainee, Timothy Sheehy, were practicing simulated engine failure training, Judd said. The accident happened a short time after takeoff. Wagner died in the crash. It’s unclear if the pair were actually simulating an engine failure at the time of the crash as well as who was piloting the aircraft, Judd said, adding that, regardless, the aircraft lost power and fell. The plane crashed into the bedroom of 17-year-old Carmele Ngalamulume, pinning and trapping her against a wall until her brother, who was in the next bedroom, could run in and save her. There were three other children playing in the driveway of the house, according to Judd. Their mother was taking a shower when the plane dropped from the sky. Authorities arrived on the scene within five minutes of receiving the call about the crash. Firefighters, the first on the scene, arrived to find Sheehy wandering around the area after walking out of the crash, Judd said. Ngalamulume and Sheehy, 33, both suffered minor injuries. “As tragic as it was for Mr. Wagner, it could have been much worse,” said Judd. The Federal Aviation Administration and National Transportation Safety Board will be investigating and determining a probable cause for the incident, according to an FAA spokesman.